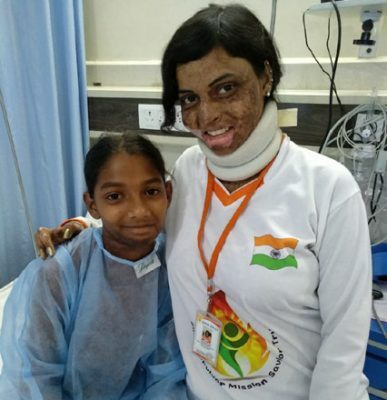 Neehaari Mandali has not just overcome her own trauma but also started the NGO ‘Burn Survivor Mission Saviour’ to help, counsel and rehabilitate other victims, writes Prakash Pecheti. Dishevelled and disturbed, Neehari Mandali, just 45 days into married life, started to feel acute mental torture from her husband. When her married life was just beginning to bloom, her hopes got shattered, and it took her just a few minutes to decide to end her life abruptly by self-immolation. This was in 2009. Ten years after the gory incident, although, the devastating afflictions left deep psychological scars on the 30-year-old woman, the aftermath trauma, consequences and societal stereotypes led her to take the path of activism and to help rehabilitate burn victims and stand by them. With her NGO — Burn Survivor Mission Saviour, Neehari spends most of her time at her office in Manikonda receiving calls from people and gathering details, research on burn victims in the country. While rendering counselling to burn and acid attack victims on plastic surgery and medical aid, she assists victims by providing them livelihood and helps them cope with life after trauma. “Besides undergoing physical pain at the time of incident, the real pain is to sustain in this discourteous world and lead a respectable and dignified life. The rules laid down by family members, and the factors like societal acceptance are some of the challenges the victims face. If she/he breaks all these barriers, the bigger task is to please your interviewer for employment. Who is willing to recruit an ugly person into an office of working professionals tell me,” she asks. A native of Avanigadda town near Vijayawada in Andhra Pradesh, Neehari was married at a young age of 20. “The groom was working in a big private company and my parents did not want to lose the alliance. Post incident, it took me two-and-a-half years for complete recovery — 55% of third-degree burns and heavy contraction of body parts due to burns. I had to depend completely on my family. Only after noticing and observing burn survivors, I realised the severity of the problem,” Neehari says. During the recovery days, Neehari used to interact and share stories with the victims, mostly women, either affected by domestic violence or suicide. “Some child burn victims are those who are inspired daredevil acts in the movies. Life after counselling is very important than the treatment during the incident,” she says. Neehari visited parents of BSc final-year student T Ravali who was set ablaze by fellow student in Warangal. “I was with the victim’s family to give them moral support. There seems to be some sympathy in general public for acid victims, but, when it comes to burn victims, there is no awareness. Except in Gandhi, Osmania and MGM Warangal hospitals, there is severe dearth of plastic surgeons and existence of burn wards in government hospitals in Telangana State,” Neehari says. According to her, every year, seven to eight lakh people have been suffering from various fire accidents. A total of 1.4 lakh people are succumbing to injuries, while two lakh people remain disabled in the country. As per the official statistics, a total of 1,189 acid attacks were reported across India during the period of 2010 to 2016. “The Central government has released Rs 2,933 crore under National programme for prevention of burn injuries (NPPBI) in order to bring awareness among the general public on burn victims. However, there is little progress we see as far as awareness among people is concerned,” she adds. So far, Neehari has conducted 600 counselling sessions, 70 surgical operations through doctors in Andhra Pradesh, Telangana and Kerala. 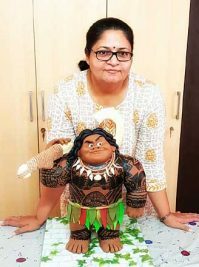 “Last time, when we performed 24 surgeries to burn victims, Dr MK Muneer, who was Central Minister then, supported us financially and crowdfunding organisation Milaap too contributed in raising funds for a couple of victims,” she says. After noticing Neehari’s work, Dr Muneer released the life story of Neehari in Malayalam language. 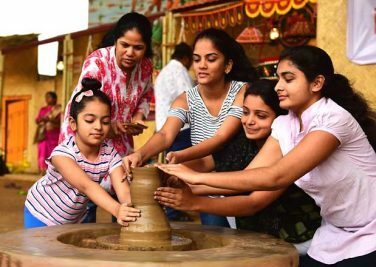 Telugu film actor-turned-producer Lakshmi Manchi and a few celebrities in Kerala film industry render support for the burn survivors through Neehari’s NGO.